In sacred and loving memory of my dear husband and father. 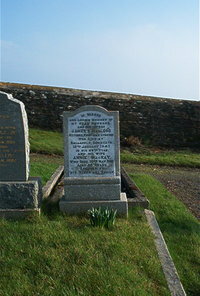 James R Macleod retired postman of Lybster died at Ballachly Dunbeath 15th January 1947 aged 69. Wife Annie Mackay died 20th May 1961 aged 83.